“N’Djamena … Oh Oh Oh Oh N’Djamena… N’Djamena … J’irai un jour à N’Djamena en passant par le Lac Tchad” (I will one day go to N’Djamena, via Lake Chad) says Cameroonian singer Andre Marie Tala with his great song “N’Djamena”. 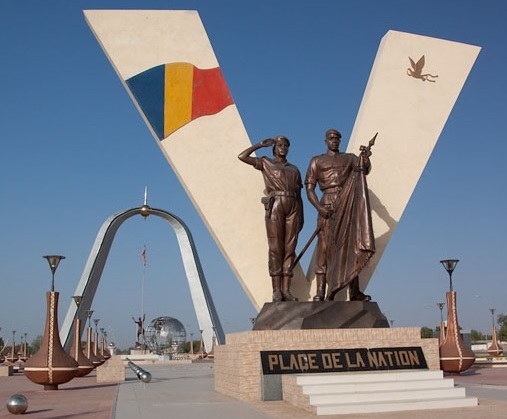 Have you ever wondered what the name of the capital of Chad might mean? Is it a Ngambaye’s name? Daza? Hausa? Arab? Sara? or Kotoko? or does it come from the ancient Kanem-Bornu, or Bornu Empires that flourished in the region centuries ago? or is it simply a mix of Arabic with some local language? The city was not always called N’Djamena. In fact before 1973, it was called Fort Lamy, after a French army officer who had been killed in the Battle of Kousséri on May 29, 1900, Amédée-François Lamy. It was a major trading city and became the capital of the region and nation. It is located on the Chari River, near the confluence with the Logone River, and directly faces the Cameroonian city of Kousséri, to which it is connected by a bridge, just like Brazzaville and Kinshasa, the capital cities of the two Congos. N’Djamena is a regional market for livestock, salt, dates, and grains. Meat, fish, and cotton processing are the main industries, and the city is the economic capital of the country as well as its political capital. It is Chad’s largest and most populous city. 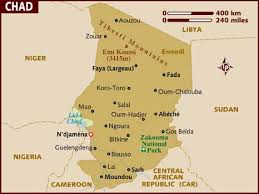 On April 6, 1973, President François Tombalbaye changed the name of the city from Fort Lamy to N’Djamena. The name N’Djamena was taken from the Arab name of a nearby village, Nijamina or Am Djamena, meaning “place of rest“. Enjoy the great song by André Marie Tala, and like he says “I will one day go to N’Djamena… to discover its beautiful landscape.” Enjoy this great place of rest! Truly agree. Thanks for commenting Kutukamus.